Silver halide photo paper tarnishes in the presence of hydrogen sulfide, creating silver sulfide. 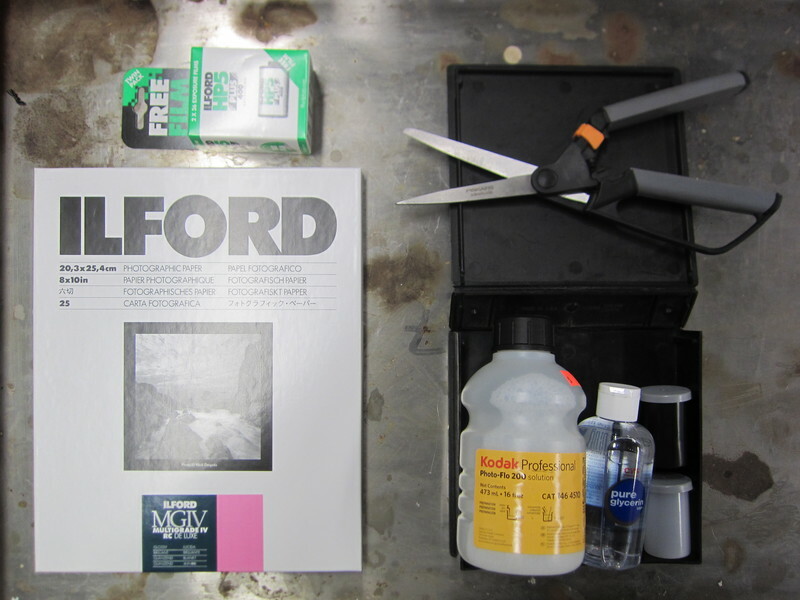 In this method, we expose photo paper to air and assess the relative amount of airborne hydrogen sulfide present. We hope to make this a quantitative method soon. The silver halide in photographic paper tarnishes when exposed to H2S. The paper changes color inside the canisters depending on the level of H2S it has been exposed to, with darker strips indicating higher levels of exposure. This method is low-cost, easy to assemble using everyday materials, and may be more accessible to non-programmers. We are still working on determining the detection limit of the method (i.e. the lowest concentration of hydrogen sulfide that would visibly discolor the photo paper), and the relationship between the concentration of hydrogen sulfide and the extent of visible tarnish. We also are interested in determining the influence of other corrosive gasses, such as sulfur dioxide, on the photo paper as well. Eventually we are hoping this can be a quantitative, or even semi-quantitative method for measuring atmospheric hydrogen sulfide. Nothing yet on the topic "h2s-photo-paper" -- be the first to post something! Hydrogen sulfide, which is a well documented but little understood health hazard, is one of the leading causes of injury in the workplace. Health issues have been clearly linked to H2S, and since 2011 the EPA has required the oil and gas to report their emissions to the Toxics Release Inventory (TRI). Despite this, much hydrogen sulfide still gets into the air with little regulation (Fracking Boom Spews Toxic Air Emissions on Texas Residents). Public Lab researchers are attempting to innovate novel, low-cost community based approaches to environmental health problems like hydrogen sulfide, so that communities and workers may begin not only developing systems to track their exposure, but also generating data and evidence in order to scientifically validate their experiences. The photopaper sensing tool is being developed to detect hydrogen sulfide in an affordable, quantifiable manner. In September of 2011, Public Laboratory members met with residents of Garfield County, Colorado to discuss the growing hydrogen sulfide problem in their small, rural community. The community had recently organized to take a gaseous grab sample from one resident’s kitchen sink. Analysis of the grab sample showed hydrogen sulfide levels of more than 185 times above the long-term exposure level recommended by the EPA (Gassed by Global Community Monitoring). The family, in which the son developed painful skin lesions and other symptoms coincident with this exposure, was forced to abandon the house. 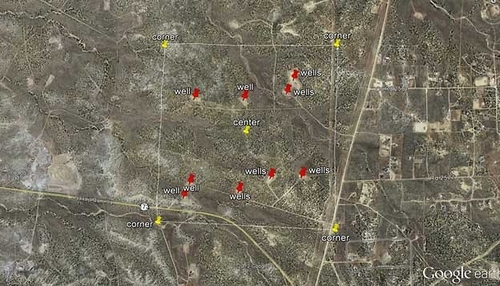 They are seeking legal assistance, but so far, neighboring gas development companies have denied association with the families water contamination. The grab sample, while able to capture one record of exposure, was costly (over $500) and had to be shipped to a lab in California within 24 hours in order to ensure the samples viability. The family did not hear results of the test for weeks, all the while continuing their exposure. Designing a field-based environmental study that uses this method would follow the general principles described in: https://publiclab.org/wiki/general-environmental-monitoring-study-strategies. However, since the canisters with photo paper will be exposed for one or more weeks in the field, the temporal resolution would, of course, only be on the scale of weeks, during which industrial activities and environmental conditions could change. The general principles still do apply. The current primary limitation of this method is the unknown relationship between hydrogen sulfide concentration and the extent of visible tarnish on the photo paper. Related to this outstanding question, we'll need to determine how different environmental conditions affect that relationship (e.g. how does high relative humidity influence the extent of tarnish at a given hydrogen sulfide concentration? ), and the influence of other corrosive gasses (e.g. sulfur dioxide). 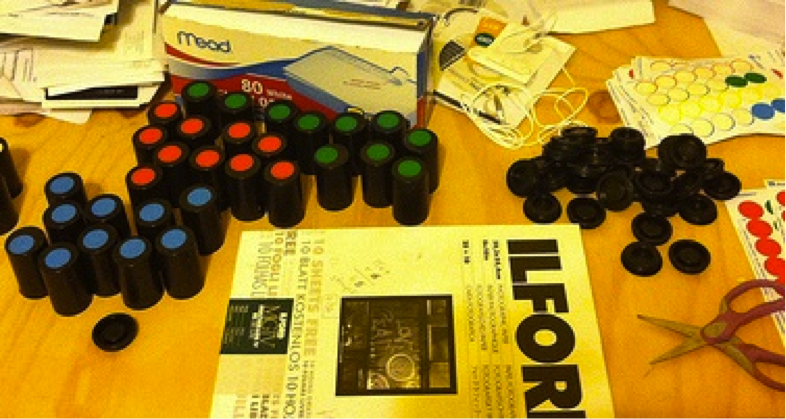 This method requires that small canisters with prepared photo paper in them be deployed for multiple weeks in order to discolor appreciably. That could be considered a limitation, depending on what your sampling restrictions are. The long time-integration will also make it challenging to compare the concentration of hydrogen sulfide ultimately estimated based on the exposed photo paper, and any health and environmental standards for hydrogen sulfide, which are generally written for 8-hour or 24-hour time periods. 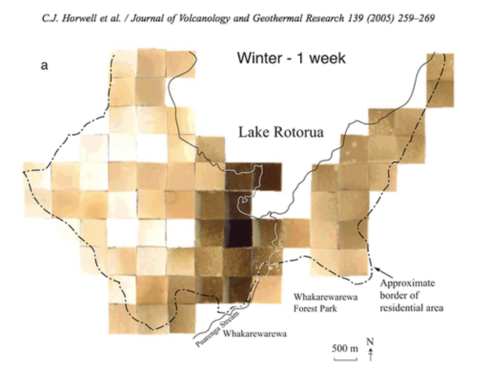 This project is based on these two papers by geologist C. J. Horwell and colleagues that used photographic paper to measure hydrogen sulfide concentrations near volcanos in New Zealand. Original photopaper map made by Horwell et al. Conversations about this method happen in research note comments (see tag:h2s-photo-paper) and on plots-airquality@googlegroups.com. This project is largely being spearheaded by folks at Northeastern University in Sara Wylie's research group: Sara Wylie, Elisabeth Wilder, Deb Thomas, Cait Kennedy, Megan McLaughlin, and Hannah Gartner, and more! Feel free to contact any of the people listed above if you are interested in getting more involved. You can also try following the prototype documentation to make your own film testing strips, and be sure to share any new tests sites or uses for this tool. This method produces visual data. In order to present and communicate this data, taking pictures of the exposed photo paper is essential. Ultimately we hope to quantify the extent of discoloration of photo paper (perhaps using an app similar to that being developed for the SmART-Form project. It has been demonstrated, by Horwell et al and by research posted here in Public Lab, that the extent of brown tarnish of the silver halide photo paper is more extreme under conditions with higher hydrogen sulfide concentrations. However, we have work to do in order to try to quantify this relationship. We also need to get more hands trying this method in comparison to other commercial methods, such as Draeger tubes or Jerome meters, to evaluate the relationship between this and other method measurements.